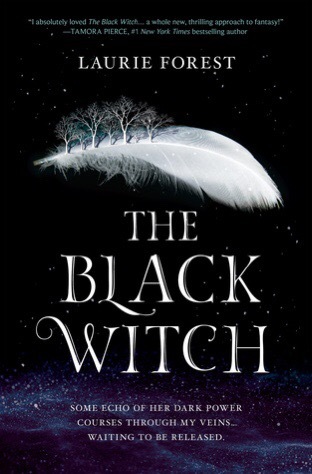 Laurie Forest’s The Black Witch got some rotten and unfair reviews. I suspect that anyone who slammed this book as racist didn’t read the whole book. Perhaps they are just so stupid they missed the very clear point. In life, we all start out believing whatever we have been taught. When we hit a certain age and venture out into the bigger world, most of us come to the realization that some of those values we were raised to accept are worth holding on to, but others are the result of fear and a limited world view. This is a fantasy read that incorporates that experience. If you stick with the book beyond the first few chapters, it is obvious that this is all about learning to accept and even cherish differences. I gave this book four stars, and I think readers who give the book a real chance will agree. The Black Witch is an easy book to fall into, and I apparently raced through 600+ pages this evening without realizing it! I quickly recognized that this was going to be a fairly predictable read, and I wasn’t wrong, but I still found myself drawn into the vast world populated with characters I became attached to – Diana was surprisingly my favorite. I was a bit disappointed that such a big book didn’t move me a little closer to more resolution, but I will be quite happy to luxuriate in a couple more volumes to get those resolutions. A lot of the book is spent in pairing off couples in romances, which I thought slowed the pace and watered down the story, but I imagine many YA readers will appreciate the forbidden kisses and the longing. Themes are timely and address prejudice, friendship, and standing up for what is right. I know my high school readers will enjoy this book, especially those who liked Harry Potter or who have ever felt like they just didn’t fit in with the crowd. I’m adding it to my classroom library wishlist. Language and situations are appropriate for grades 7+.